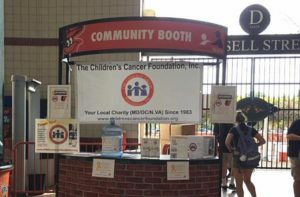 Organizations across the country are coming together in September to bring awareness to pediatric cancer. The following events, organized by our generous partners, will be supporting CCF’s efforts in finding better treatments and cures for pediatric cancer. We encourage you to share this email with your friends and get them on the mailing list, along with Liking our Facebook page, and following us on Twitter and Instagram. Click here to add this frame to your Facebook profile pic! We need as many people to understand how critical the need is for more research to help our children facing a diagnosis of cancer have long-lasting, positive outcomes. Giant Food has been a champion for funding childhood cancer research in this region for many years. Giant Food is again offering a $5 coupon book, with $50 of coupons inside. CCF is extremely honored to be Riviana Food’s selected charity for its San Giorgio Ribbons of Hope campaign during Childhood Cancer Awareness Month. 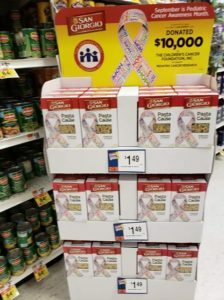 Mid-Atlantic Giant Food stores will be stocking these special ribbon-shaped pasta throughout September. Go grab a few boxes in support of Childhood Cancer Awareness Month. Snap a pic with one and tag us! @ccftoday for Instagram and Twitter. Pick up your family’s dinner on your way home from work, or make it a special night out to enjoy delicious Italian bistro food. 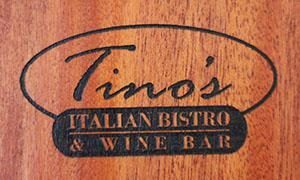 Tino’s will be donating 10% of the day’s sales- Eat in, Pick up or Delivery- to CCF. If you’ve come to watch the O’s play the Houston Astros on the 27th, please be sure to stop by and say hello! 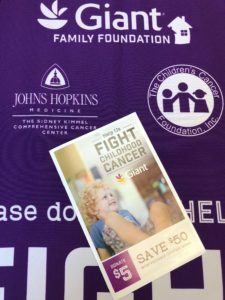 Local area Marlo Furniture stores (including Rockville, Laurel, Forestville and Alexandria, VA) will donate 1% of sales from Friday, September 28th through Sunday, September 30th to The Children’s Cancer Foundation, Inc. (CCF). You can also make a donation at the time of purchase. Make a difference in September and shop Marlo Furniture. 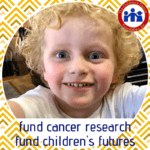 Your support will make a difference for a child with cancer! 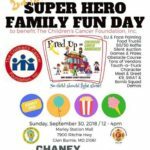 Awareness Month winds up with the 2nd Annual “Fired Up for Childhood Cancer Awareness” Super Hero Family Fun Day! 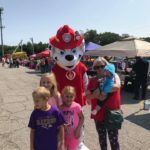 Launched in 2017 by the amazing and dedicated women and men of the Anne Arundel County Professional Fire Fighters Local 1563, the event will feature food, games, music, activities, raffles and silent auction. 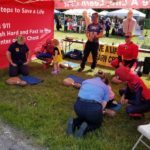 Dozens of area fire and police departments will participate in the day’s activities through demonstrations and silent auction donations. All money raised at this event will support CCF and furthering local pediatric cancer research and programs. CCF is truly thankful for our local heroes giving so much of their time to help our children fighting cancer.